What is a niche? Broad or Narrow Niche? How to hone your niche. One of the first things online solopreneurs should consider when planning their online business structure is finding their niche. It’s the foundation for the entire business. But what is a niche? A niche is, basically, just a topic. More than that, though, it’s a theme that people are looking for. Spending the time now, researching and analyzing a profitable niche will be worthwhile in the long run. Let’s zero in a little bit. A niche is a distinct segment of a market. It’s a specialized area of demand for a particular product or service. A niche – at least, one that will work for your business – should form part of a sector where there’s demand. In the online arena, we refer to demand as to how often people look for a particular keyword on the internet. A keyword is a word or phrase that a person types into the Google or any other search engine’s search box when searching for something. Each niche has related keywords. These keywords which relate to your niche are the actual search terms that the web surfer puts into a search engine. They are what actually drives potential customers to your online activity. People are going to find you through the keywords they key in. Therefore, you must find an area that is sought-after. When it's time for you to find your topic, start by writing down any niche possibilities that come to mind. Only consider topics that you totally love, already have knowledge about and willing to research, study and teach for at least the next few years. Look at what people are talking about. Think like your customers – what do they type in search engines? Do they speak any jargon? People write descriptive words. They may also use different wording from what you would key in - e.g. sinks vs basins, kids vs children, presents vs gifts. If you get stuck, go through the local newspaper. You may find some neat ideas that relate to things that you know. It’s tempting to simply pick a topic that you’re interested in and try to build your business around it, hoping you’ll succeed. Unfortunately, that’s a recipe for a flop. If you aim to be successful, you need to do some legwork. Contrary to what many think, you do not choose a topic, but you find a niche that is being searched for. Pinpointing the right niche can be challenging. It’s going to take time and energy to do research and testing. Still, it’s fundamental to help you build your business on solid grounds. If you simply pull a niche from a hat, you will only make things harder for yourself. Instead, go through a methodical process of researching which concept fits you best and that has a viable market at the same time. Part of finding a niche is identifying a market. Who is your audience? Who do you want to help? It’s imperative for you to know whether there are real, paying customers out there that will purchase your product. Whatever it is that you’re offering has to provide an answer to a problem your target market is facing. It should offer relief. Ideally, you’ll determine a niche or a subcategory of a niche (called sub-niche) where there are people pro-actively looking for a solution and there is no product available yet, to solve that issue. Then, you find or create a product to fill that specific need of that niche market. You translate the product into the solution of the unmet need of your target audience. It’s giving people what THEY need or want, not trying to sell them what YOU think they need. There are a couple of metrics you need to look at during the process of finding a niche. You need to decide just how narrow of a focus your niche is going to be. This is relative to your ambitions and the amount of hours you are willing to put into your business. Generally speaking, a niche is broad when it gets a larger number of searches a day. So, a niche with 10,000 searches a day is pretty broad; one with 220 searches a day is fairly narrow. Either are valid choices. Just go to Google and spend some time doing research. Some tools and techniques to help you do this are available here. 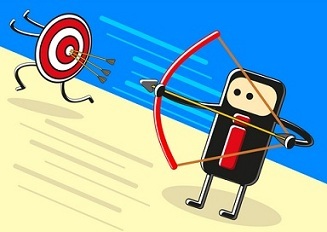 A broad focus likely puts you in a more competitive niche. The potential for success is greater; with more time and hard work, you can reap better results. A narrower niche can be easier and requires less time to dominate. However, too much of a narrow niche and there may be insufficient traffic for you to monetize. You'll probably draw in a greater percentage of searches, for example, because few people offer content about your same topic, but overall the number of transactions will be lower. As a rule, the less time you have, the narrower the niche. There are loads of niches that you can tap into. Some of the biggest industries are those related to Health and Wellbeing, Dating and Relationships along with Business and Finance including Real Estate and Travel. These niches are too big for small business owners to compete. So, what you have to do is find a sliver within one of them. One very popular theme that does not form part of the larger categories is Pets. A sub-division of pets is dogs. You narrow down to one particular breed say, labrador. Take it further to a specific area like caring for labradors, training labradors or labrador puppies. Now let’s assume that someone is a labrador owner and his dog is chewing all his furniture. It’s destroying all his possessions. He needs to solve this problem and is surfing online for a way out. He comes across your website, jam-packed with information on why his pet is doing so and how to stop this from continuing. The dog may be bored or lacking interaction or needs more exercise. You offer for sale a 1 hour dvd on how to train and communicate with your dog, gadgets to use and toys for the canine to play with. Your options are numerous. Can you see how it all ties together? Once you’ve understood what a niche is and the reasoning behind its importance, your next step is to actually start scrutinizing your niche. What groups, organizations, sports teams, volunteer organizations, or other associations do you form part of, that could relate to a niche? What work experience have you learned on your job? What interests and hobbies do you have that provide opportunities to educate others? Do your family or friends tell you you’re good at something in particular? What books, magazines, and websites do you read? If you always find yourself reading, learning and subscribing to sites related to one particular subject, then you may have found a good niche to consider. Have you been through and overcome a specific challenge that you’re willing to share with others how you did it? 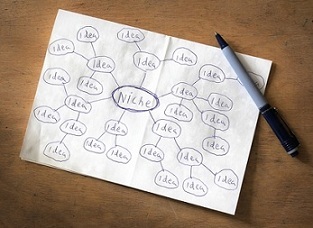 Now that you’ve got an idea of what a niche is and how to start searching for one, it’s time to tackle your target market. To give your audience what they need, you have to clearly portray who they are and what they’re seeking. Continue reading to learn how to understand and find your target audience.